Leading national property developer, AV Jennings, engaged Nucleus to provide ongoing creative support for their major South Australian residential development projects. Our initial work focused on developing names and identities for two new townhome releases in the high-profile planned residential community, St Clair. 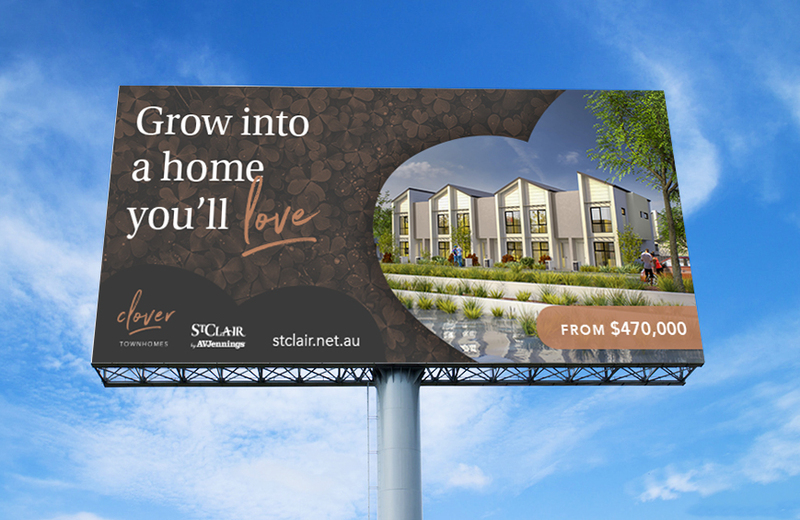 'Lotus' and 'Clover' were designed to have wide appeal and convey the friendly, clean, close-to-nature lifestyle of the St Clair community. 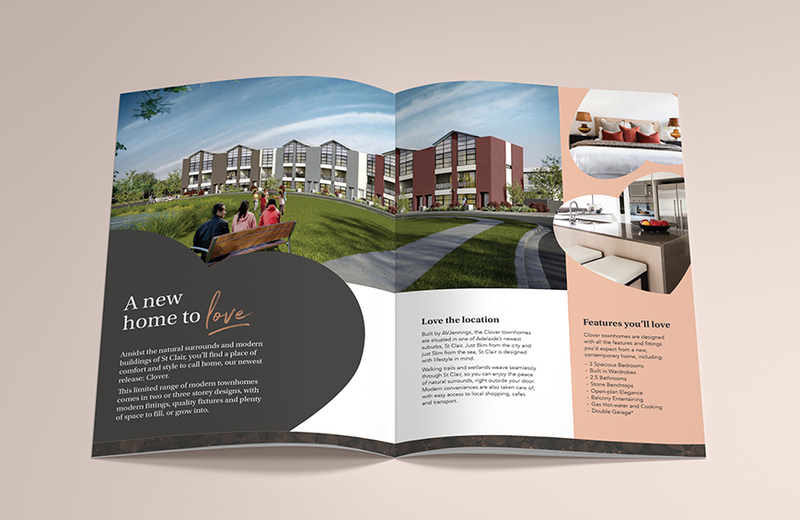 In support of these branding projects, we also developed promotional and advertising collateral to help drive sales leads and conversions, including brochureware, press, digital advertising, social content, outdoor and radio.